Sometimes you need some change, and sometimes you need to change somebody's channel! The Chicago Candy Bar is another hand crafted piece from the artisans at Starlingear. 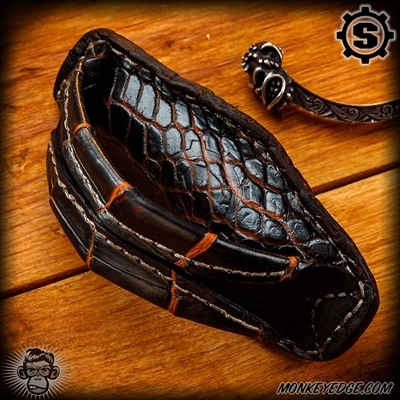 Produced from top quality salt water crocodile and hand stitched right here in the US of A with a S-Gear logo stamping. 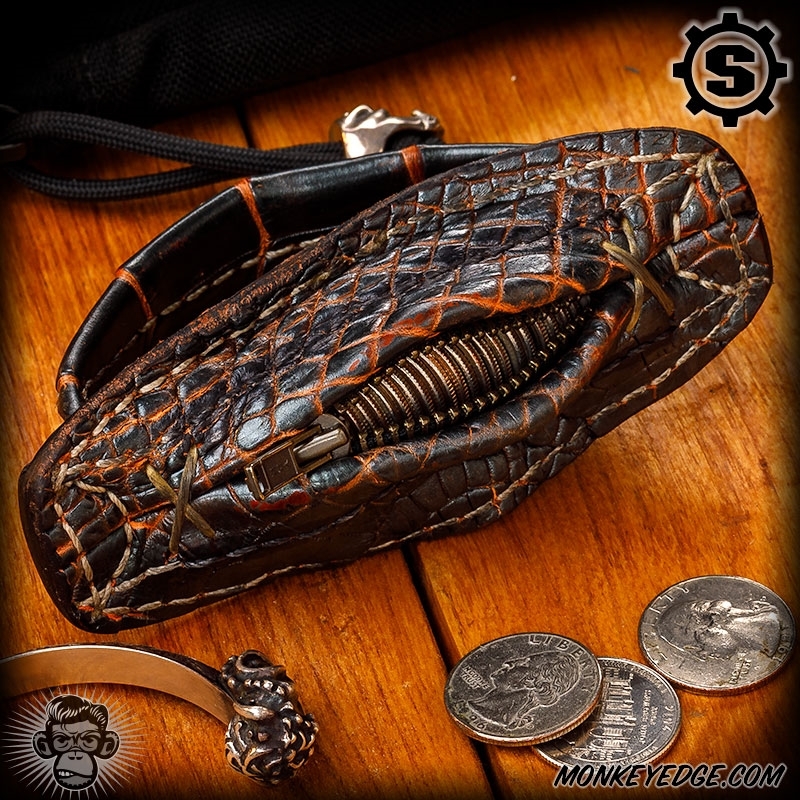 This handy little pouch carries your change for you. It also just so happens to have a handle loop on it that your fingers slide through to get a solid grip on it (you know, so you don't lose your change). After much scientific research, the Starlingear crew has determined the optimal coin load for the Chicago Candy Bar is 7 dollars in quarters (28 quarters). Since they are great guys, they saved you the trouble of shaking your couch cushions and each Chicago Candy Bar comes pre-loaded with 28 quarters at no extra charge. Which, if you do some quick math, means that the actual price is $218 cause you are getting 7 back in quarters.